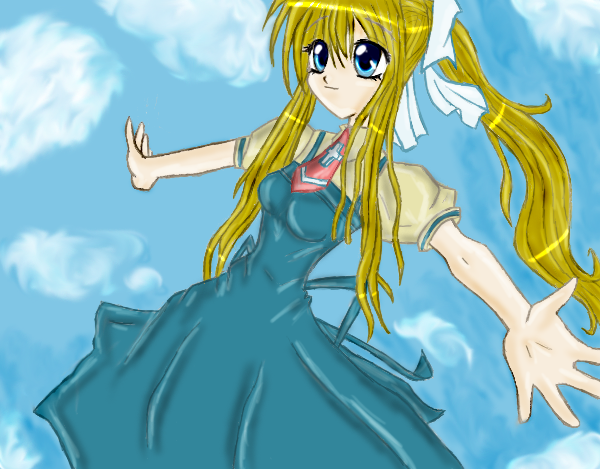 1st is Sora then Meroko and now Misuzu. She's from Air, it's one of the cutest animes I've seen x33 <3333 Nya! Your so good!!!!!!! Both pics you drew of her are cute!!! *faves pic and artist* You deserve them! OMG! So cute! I love that show! I haven't watched it On Demand in awhile! THEY NEVER UPDATE! Oh well..
My parents are always suspicious of everything I do on my computer so I can't visit Youtube...I think they blocked it...so I'll Google it and hopefully find it somewhere else...I LOVE THE PICCY!